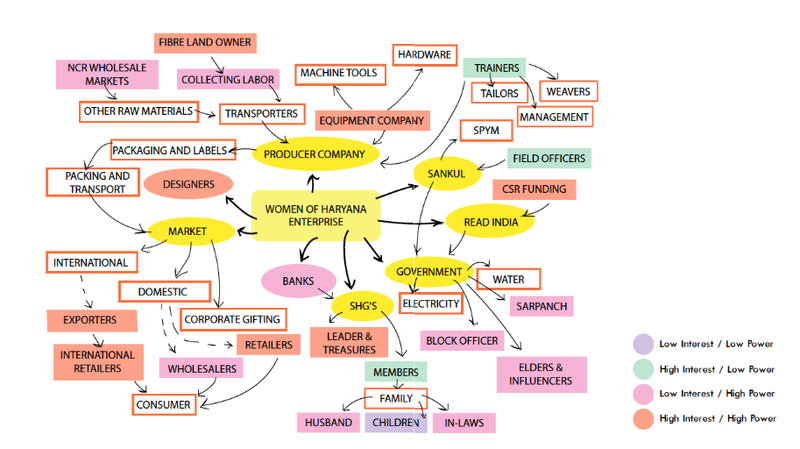 The Women of Haryana project was targeted at creating flexible employment opportunities for three communities of women residing in remote parts of Palwal district, in the state of Haryana, India. 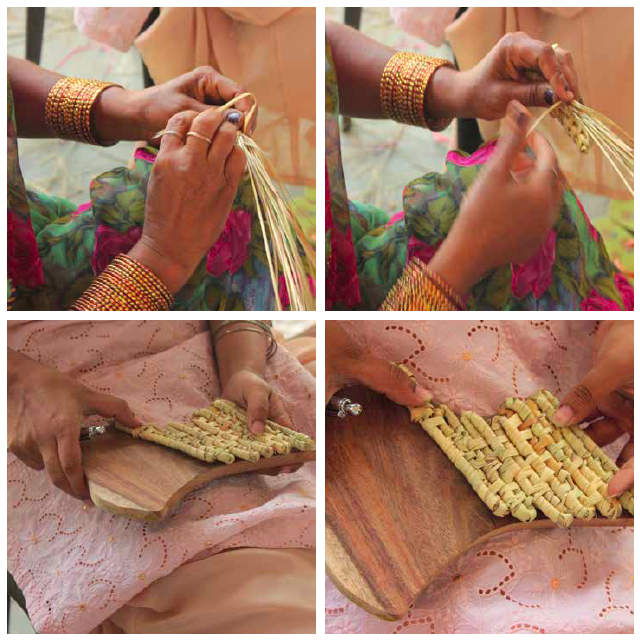 The women are skilled in traditional techniques of natural fiber weaving, but had never leveraged these skills commercially. The project employs concepts of design research and strategy, industrial design and resource mobilization in order to develop a sustainable business model for local enterprises. Design research: Qualitative research with key stakeholders mapped through system flow maps. Interviews and observation techniques such as shadowing and journey mapping were used to gather rich insights. Market analysis: In-depth study of the craft sector in India including industry trends and growth, and competitor strengths and financial positioning. Development: Brainstorming on possible product ranges and prototyping of specific product concepts in collaboration with artisans. This stage also included training sessions for rural women, developing leadership and organizational ability among members. Operations and systems: This phase involved innovating processes in order to optimize the supply chain as well as creating plans to improve logistics and lower costs while increasing productivity in manufacturing centers. Delivery: Generating multiple business models to identify one that meets set design criteria. 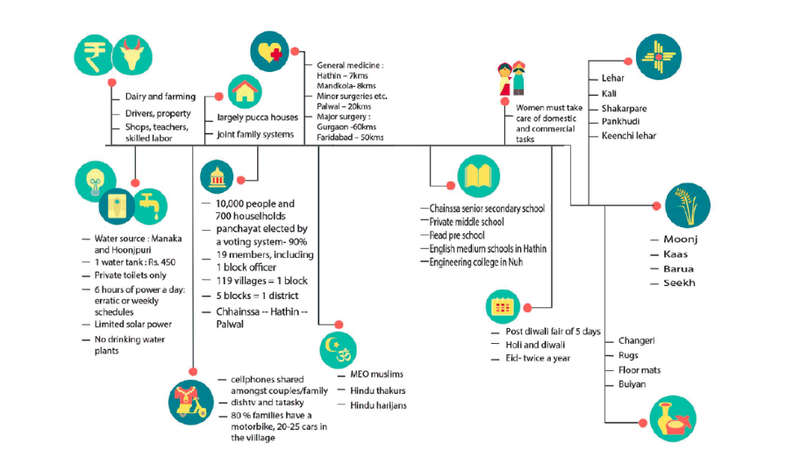 Implementing pilot model in one community in rural Haryana. This project has been initiated in 4 rural communities since, generating income opportunities for local women.